The United Nations Technology Bank for the Least Developed Countries (LDS) & Digital Access to Research (DAR): The Technology Bank for the LDCs is an organ of the UNGA. The Technology Bank through DAR joins the Research4Life partnership as a new type of programme, focusing on the particular needs of the LDCs. The Technology Bank will build on what Research4Life (R4L) has already accomplished regarding online access to the world’s high quality published scientific and technical information. 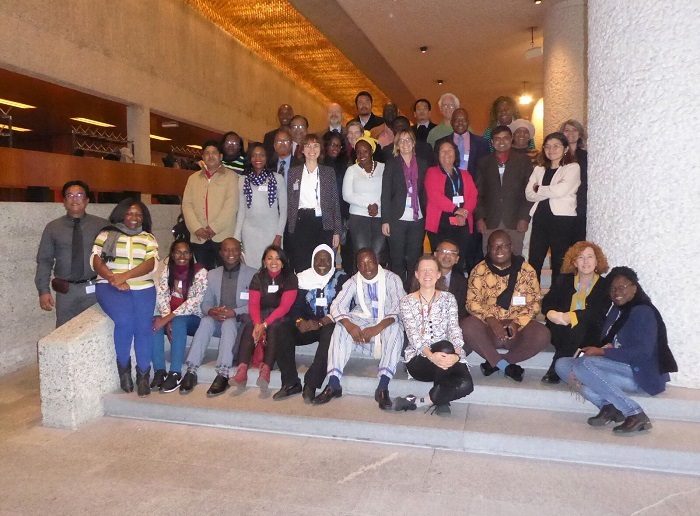 Country focal points of the new UN Technology Bank for the Least Developed Countries (TBLDC) Digital Access to Research (DAR) activity gathered between 3 and 7 December 2018 in Geneva, Switzerland to discuss main achievements and lessons learnt of their first year. agriculture, health, environment, law, development and innovation. We are glad to inform you that CALL for APPLICATIONS for the free AGORA ONLINE COURSE February 2019 Edition (in English, Spain, French) is now open! The course (in each language) lasts for two-weeks and requires a six-hour time commitment on average per week. Interested? Enrol to this course right now!